Lexington Station offers luxury condos in a great downtown Asheville NC location. Let us be your guide to Asheville area condos in the downtown area or maybe some more affordable condos and townhomes a little further out. 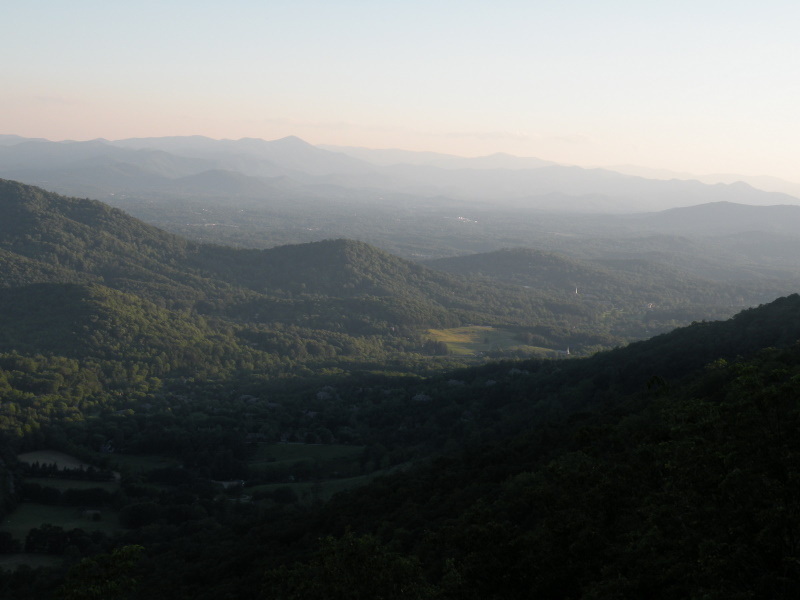 Call Green Mountain Realty at 828.215.9064 for condos, land, homes and real estate in Asheville. I have a question about the property at 45 Asheland Avenue Asheville NC 28801 (#3455649). I would like to schedule a visit for the property at 45 Asheland Avenue Asheville NC 28801 (#3455649). I have a question about the property at 21 Battery Park Avenue Asheville NC 28801 (#3450147). I would like to schedule a visit for the property at 21 Battery Park Avenue Asheville NC 28801 (#3450147). SPECTACULAR LOFT CONDO IN DOWNTOWN ASHEVILLE w/ an exhilarating cityscape view and a glimpse of the mountains! This is your urban sanctuary to become immersed in Asheville's culture. Within only a block, find cafes, art galleries, fine dining, brew pubs, a performing arts theatre, a cinema, a major music venue, boutique shops, & a grocery store. You'll love the gleaming original wood flooring and ceilings up to 15 ft in this spacious and immaculately maintained penthouse loft. Each area is remarkably designed, including a showcase kitchen w/ extraordinary cabinetry, high-end stainless steel appliances and custom concrete countertops. Spacious master suite, massive windows, French doors and an exquisitely chic bar. A brand new HVAC system and an easily-accessible parking space below. Other highlights include a whirlpool tub, spacious walk-in closets, a bonus coat closet, vessel sinks in bathrooms, washer/dryer & lots of overhead LED lighting. Your luxury Asheville lifestyle is calling! I have a question about the property at 52 Biltmore Avenue Asheville NC 28801 (#3459209). I would like to schedule a visit for the property at 52 Biltmore Avenue Asheville NC 28801 (#3459209). Top of the line luxury in the heart of downtown Asheville. Welcome to this unique and limited opportunity for brand new construction on the oldest historic brick road in downtown. Reclaimed brick walls, reclaimed oak hardwood floors, and luxury finishes abound in this one of a kind building walking distance to award-winning restaurants, arts and shopping. ** These conceptual renderings are to give an idea of the unit. Furnishings, and decorator items not included, views will be different angles, finishes could vary. I have a question about the property at 17 N Market Street Asheville NC 28801 (#3492549). I would like to schedule a visit for the property at 17 N Market Street Asheville NC 28801 (#3492549). Wonderful Condo in Excellent condition in the Heart of Downtown Asheville. This spacious 2 bedrooms/ 2 bath condo has an open floor plan and lots of natural light. Great outdoor space off the living area and bedrooms. The condo is located on the quite NE side of the building. Secured Parking with assigned space, deeded storage unit, and one of the best Roof Top Terraces in Town. The Rooftop Terrace not only has incredible views but an indoor entertainment lounge and a well-equipped exercise room. This condo looks new and owned by the original owners. I have a question about the property at 21 Battery Park Avenue Asheville NC 28801 (#3423108). I would like to schedule a visit for the property at 21 Battery Park Avenue Asheville NC 28801 (#3423108). Magnificent 6th floor Luxury condo in downtown Asheville! Floor to ceiling views of our famous Western mountains and sunsets! Rumor has it 60 North Market is THE secret gem tucked into the quaintest, quietest corner of downtown. Supremely easy walking and driving access to all things good Asheville has to offer! 60 North Market is that wonderfully welcoming community to Live, Play, Dine, Exercise, and Explore you've been seeking. Photos can only show so much. Come "See" for yourself! Park your car in the building's private, secure parking garage just steps to the elevator! I have a question about the property at 60 N Market Street Asheville NC 28801 (#3469432). I would like to schedule a visit for the property at 60 N Market Street Asheville NC 28801 (#3469432). Two story penthouse condo in the beautiful historic S&W art deco building on Pritchard Park in the heart of downtown Asheville. Master on main and living area all open to the a private outdoor terrace that runs the entire length of the condo. Wonderful open floor-plan. Low HOA fees, elevator in a secure building, high ceilings, granite counter tops, stainless steel appliances, wood floors. Renovated in 2013. WATCH THE VIDEO WALK-THRU. I have a question about the property at 56 Patton Avenue Asheville NC 28801 (#3455997). I would like to schedule a visit for the property at 56 Patton Avenue Asheville NC 28801 (#3455997). Some of the best year-round sunset and mountain views in highly desirable and gated Beaverdam Run. This is a unique floor plan in this community with just over 4,000 SF. The main level offers a master suite, a guest suite, a den with pocket doors, a cozy kitchen/breakfast nook, formal dining, and a laundry room with a sink. It could be an ideal aging in place scenario with lots of private living space on the lower level for a care giver. The lower level has a family room, guest suite, bonus, craft, rec room, an office, and a wine cellar. Cozy up by one of the two gas log fireplaces or enjoy the seasonal kaleidoscope of colors from the wraparound main level deck and the covered lower level deck. Both have gorgeous long-range views. You are just minutes from The Fresh Market, The Blue Ridge Parkway, and downtown Asheville. This 115-acre community offers tremendous amenities including tennis courts, an indoor pool, exercise room, clubhouse, garden space, and walking trails. I have a question about the property at 82 Stony Ridge Asheville NC 28804 (#3467214). I would like to schedule a visit for the property at 82 Stony Ridge Asheville NC 28804 (#3467214). I have a question about the property at 55 S Market Street Asheville NC 28801 (#3366923). I would like to schedule a visit for the property at 55 S Market Street Asheville NC 28801 (#3366923). I have a question about the property at 55 S Market Street Asheville NC 28801 (#3359887). I would like to schedule a visit for the property at 55 S Market Street Asheville NC 28801 (#3359887). Beautiful condo with amazing breathtaking panoramic views in desirable Crest Mountain. Plenty of natural light. Open floor plan with two story great room with stone gas fireplace and custom built in bookcases. Plenty of custom detail throughout this unit. Spacious kitchen with upgraded appliances and pantry space. Laundry room on main plus half bath. Master on main with large walk-in closet and vaulted ceiling and mountain views. Upper level features a family room with wet bar area, full bath, two large bedrooms with views plus one bedroom offers office space/sitting area. Upper level deck area great for enjoying the mountain views. Nice patio space as well. 2-car garage under covered parking. Only 10 mins to downtown Asheville, shopping and dining. I have a question about the property at 4 Chimney Crest Drive Asheville NC 28806 (#3477696). I would like to schedule a visit for the property at 4 Chimney Crest Drive Asheville NC 28806 (#3477696). I have a question about the property at 55 S Market Street Asheville NC 28801 (#3366917). I would like to schedule a visit for the property at 55 S Market Street Asheville NC 28801 (#3366917). Stunning, pristine condo in South Slope area of Asheville. From the moment you enter the home, you will be amazed at the beauty of the space. The unit was renovated three years ago to make a unique floorplan with the master now at the window-clad end of the unit. You will love the attention to function and detail from the house-wide dimmable track lighting to the custom fixtures and heated floor in the master bath. The view from the expansive windows is remarkable and with the custom blinds and black-out shades, you won't need the sun to determine when your day begins. This unit has two deeded parking spaces - a rare commodity - in the secured garage. The property also has a community rooftop terrace which gives you a bird's eye view of the city and long range mountain views. The location in the South Slope gives you access to restaurants, breweries and entertainment - all within steps! Let this beautiful condo welcome you in and allow you to experience all Asheville has to offer! I have a question about the property at 100 Coxe Avenue Asheville NC 28801 (#3489545). I would like to schedule a visit for the property at 100 Coxe Avenue Asheville NC 28801 (#3489545). Downtown Asheville living at it's best in this larger condo in South Slope area of Asheville. Rare deeded parking spaces in secured garage, storage locker in garage for bikes, kayaks, pet friendly building. Rooftop deck with amazing long range views west to Cold Mountain. Steps to restaurants, entertainment, breweries, theatres. True urban feel in this condo complex of 23 units in historic 1928 Ford Motor Company building. New interior paint job coming next week. I have a question about the property at 100 Coxe Avenue Asheville NC 28801 (#3468155). I would like to schedule a visit for the property at 100 Coxe Avenue Asheville NC 28801 (#3468155). Located in the unrivaled gated Beaverdam Run Complex, this three bedrooms, three bath condo has incredible year round views. The unit has been updated with wood flooring, granite countertops and new HVAC in 2018. Lower level family room has a gas fireplace, built-ins and a bar area that makes entertaining a breeze! Enjoy the spacious outdoor deck and covered bottom porch or the many amenities that Beaverdam Run offer. Just minutes from shopping and dining or the Parkway for hiking! I have a question about the property at 20 Stony Ridge Asheville NC 28804 (#3496168). I would like to schedule a visit for the property at 20 Stony Ridge Asheville NC 28804 (#3496168). New construction located in Downtown Asheville's red-hot South Slope district! This 6th floor residence offers long-range eastern exposures of Asheville's skyline, 1 secure deeded parking space, separate secure storage, and a covered balcony to enjoy your new urban lifestyle. Luxurious appointments abound and no expense was spared! 45 Asheland is a 7 story, 39 unit condo building located steps from world-class dining, shopping, craft breweries, live theater, music venues, and art galleries. I have a question about the property at 45 Asheland Avenue Asheville NC 28801 (#3455677). I would like to schedule a visit for the property at 45 Asheland Avenue Asheville NC 28801 (#3455677). I have a question about the property at 55 S Market Street Asheville NC 28801 (#3310621). I would like to schedule a visit for the property at 55 S Market Street Asheville NC 28801 (#3310621). I have a question about the property at 60 N Market Street Asheville NC 28801 (#3442399). I would like to schedule a visit for the property at 60 N Market Street Asheville NC 28801 (#3442399). I have a question about the property at 55 S Market Street Asheville NC 28801 (#3338576). I would like to schedule a visit for the property at 55 S Market Street Asheville NC 28801 (#3338576). 145 Biltmore is a world-class modern art deco residence in the beautiful South Slope neighborhood of Asheville. Steps away from galleries, music, arts, shopping, dining and nightlife, this downtown property honors Asheville's architectural heritage with its stunning design and private outdoor living spaces. Unit 301 is on the SW corner of the building (facing away from Biltmore Avenue), boasts two spacious bedrooms, two full bathrooms, luxurious finishes, and a large transitional glass door that opens up to a spacious 336 SQFT terrace. The building features secure parking and access. Each unit comes with 1 deeded parking space with the option to purchase one additional space for 50k. I have a question about the property at 145 Biltmore Avenue Asheville NC 28801 (#3429100). I would like to schedule a visit for the property at 145 Biltmore Avenue Asheville NC 28801 (#3429100). The Timbers! Coveted North Asheville gated community with clubhouse and pool. This contemporary, finished and transformed condo with master bedroom, laundry, office and 2-car garage on main floor is unlike any other! Modern, in-wall, gas fireplace surround with floor to ceiling natural stone tile. 2 large and private covered decks offer a mountain view, space for outdoor dining and entertaining, and allow access to large green area. Large master bathroom is beautifully appointed with Japanese soaking tub and modern, tiled walk-in shower. Generously sized 2nd and 3rd bedrooms. Plenty of storage. Extra bonus room workshop. Wet bar includes a refrigerator. Built-in custom wood slab office desk. TV's in master bedroom, den, and living room (with Sonos soundbar) included. I have a question about the property at 1302 Timber Trail Asheville NC 28804 (#3479929). I would like to schedule a visit for the property at 1302 Timber Trail Asheville NC 28804 (#3479929). I have a question about the property at 55 S Market Street Asheville NC 28801 (#3366916). I would like to schedule a visit for the property at 55 S Market Street Asheville NC 28801 (#3366916). I have a question about the property at 55 S Market Street Asheville NC 28801 (#3338574). I would like to schedule a visit for the property at 55 S Market Street Asheville NC 28801 (#3338574). I have a question about the property at 55 S Market Street Asheville NC 28801 (#3316392). I would like to schedule a visit for the property at 55 S Market Street Asheville NC 28801 (#3316392). I have a question about the property at 55 S Market Street Asheville NC 28801 (#3316382). I would like to schedule a visit for the property at 55 S Market Street Asheville NC 28801 (#3316382).